Most of the candidates for city elections are in these videos from the LCDP meeting of 14 September 2015. This entry was posted in Board of Elections, Candidates, Elections, Hahira, Qualifying, Valdosta, Valdosta School Board and tagged Board of Elections, Candidates, Chair, Dasher, Elections, Georgia, Hahira, John S. Quarterman, Lake Park, LCDP, Lowndes County, Lowndes County Democratic Party, Qualifying, Remerton, Tom Hochschild, Valdosta, Valdosta School Board on October 30, 2015 by John Quarterman. Meet the candidates who are running for mayor, city council, and school board! This entry was posted in Board of Elections, Candidates, Elections, Hahira, Qualifying, Valdosta, Valdosta School Board and tagged Board of Elections, Candidates, Chair, Dasher, Elections, Georgia, Hahira, John S. Quarterman, Lake Park, LCDP, Lowndes County, Lowndes County Democratic Party, Qualifying, Remerton, Tom Hochschild, Valdosta, Valdosta School Board on September 13, 2015 by John Quarterman. 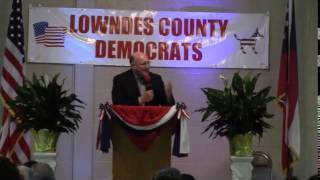 Local candidates for city elections and DPG Chair Dubose Porter spoke after music by the best band in the world and as usual excellent food, July 7th at the annual Lowndes County Democratic Party BBQ, with 100 or so paying attendees. LCDP meets again tonight about K-12 education in Valdosta and Lowndes County. This entry was posted in Candidates, Elections and tagged BBQ, Chair, Dasher, Democratic Party of Georgia, DPG, DuBose Porter, Elections, food, Georgia, Gretchen Quarterman, Hahira, John S. Quarterman, Lake Park, LCDP, Lowndes County, Lowndes County Democratic Party, municipal, Remerton, Tom Hochschild, Valdosta on August 3, 2015 by John Quarterman. 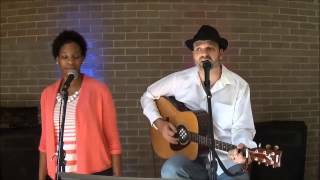 Bridgette Hylick, Tom Hochschild, and The Backstreet Blazers band will be performing at the Lowndes County Democratic Party BBQ at Mathis Auditorium in Valdosta, GA, 6PM Tuesday, July 7. This entry was posted in Elections and tagged Backstreet Blazers, BBQ, Bridgette Hylick, Dasher, Democratic Party of Georgia, DPG, DuBose Porter, Elections, food, Georgia, Hahira, John S. Quarterman, Lake Park, LCDP, Lowndes County, Lowndes County Democratic Party, municipal, Remerton, Tom Hochschild, Valdosta on June 28, 2015 by John Quarterman. LCDP meetings discuss local matters that matter in local elections, such as City Matters in April, Public Transportation in May, Environment and Property Rights in June. July is the annual LCDP BBQ, this time with candidates for municipal elections and the Chair of the Democratic Party of Georgia, plus all of the above Local Maters and more. Facebook event. This entry was posted in Elections and tagged BBQ, Chair, Dasher, Democratic Party of Georgia, DPG, DuBose Porter, Elections, food, Georgia, Gretchen Quarterman, Hahira, Lake Park, LCDP, Lowndes County, Lowndes County Democratic Party, municipal, Remerton, Secretary, Tom Hochschild, Valdosta on May 11, 2015 by John Quarterman. Tonight the LCDP is holding a special meeting for people in the Hahira and North Lowndes County community. The meeting will be informal and we will discuss issues facing this community in particular, how to support Democratic interests in this community and the recruitment of new members. So please come as you are, come hungry and bring a friend. Please RSVP so we can let the restaurant owner know how many will be attending. Special thanks to Michael Rivera for allowing us to use the cover picture. This entry was posted in Hahira, Meetings and tagged Georgia, Glenn Ritchie, Hahira, LCDP, Lowndes County, Lowndes County Democratic Party, Meetings, North Lowndes, Tom Hochschild, Valdosta on April 20, 2015 by John Quarterman.